Curious about Magento pricing? In this article we approach one of the most frequently asked questions merchants address at the beginning of their online business or later on when migration from other platforms to Magento is needed: how much will it cost you to develop a Magento website? What is the price for Magento EE and CE store development? In an earlier post we have focused on whether it is best to hire a development agency or a freelance developer for your Magento store, so if you haven’t decided that yet, you should check it out. However, in this guide, you’ll learn about the key aspects that can affect your website development budget. Find out the latest news on Magento site building costs to easily determine what version of Magento fits your business best and get a return on your investments. You should know from the start that giving cost estimates for developing a Magento webshop it’s not an easy task, as the prices for eCommerce stores can significantly vary based on your location, your business requirements, the software license you choose, and other ingredients that are necessary for your website development, which you will find explained in the following chapters. We have prepared some key questions with answers to refer to when you’re planning your budget so that you can adapt the implementation costs to your situation and avoid the risk of being played by the technical services providers. Do you need help in planning your budget or a team of professionals to do the technical job for you? If we refer to the license costs, the answer to this question depends on what Magento edition you choose to build your store with. Magento has two editions: Magento Community, which is free to download, and Magento Enterprise, which is not free. Refer to the dedicated section below to see the budget estimates. With regard to the store building part, Magento CE comes without development support, so, in the end, both options require some financial investments, though the budget you will spend on each one of them differs considerably. We’ll talk more about this contrast and all the expenses and benefits that are implied by each edition in the next two chapters. Nonetheless, choosing Magento for developing your eCommerce store is a cost-effective solution, and the fact that it changed the online marketing industry in the last 10 years – since 2008 when the first version of the software was released – shows that your website has unlimited opportunities with this platform. 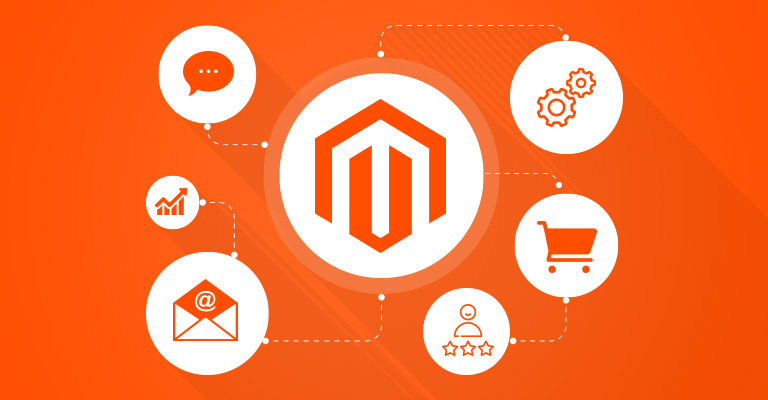 Being a part of the Magento ecosystem, you’ll have unrestricted access to experienced developers from around the world, who share their knowledge to help every business grow naturally by using the first-class eCommerce solution. So if you are thinking of developing your website on Magento, then you’ve come to the right place! Next, you’ll find out what building a successful eCommerce website will cost you, the basic expenses and options you have available to make the choices that are both convenient for your financial plans and favorable for your target audience so that your business can attain its full potential. Magento CE is the most popular version of Magento. It is open source and free to download, and any B2B can benefit from a great opportunity to launch their business online and offer a user-friendly environment to their customers. However, developing a Magento website implies more than downloading and installing the open-source software. Additional costs are required for the programming part, as well as for hosting, but also for specific extensions that can offer your customers additional functionalities. Based on these facts, you can use Magento Open Source, available now in 1x and 2x versions, if your business is not too big in size, and you aim to obtain the basic features every eCommerce website needs in order to perform well in internet marketing industry. Additionally, you can discuss with your developer about the opportunities you have available in order to implement a higher level of customization to your website so that you can offer your clients an outstanding shopping environment. To estimate the budget you need to invest in this project, see what options you have for development, hosting and additional extensions, in the dedicated sections, below. 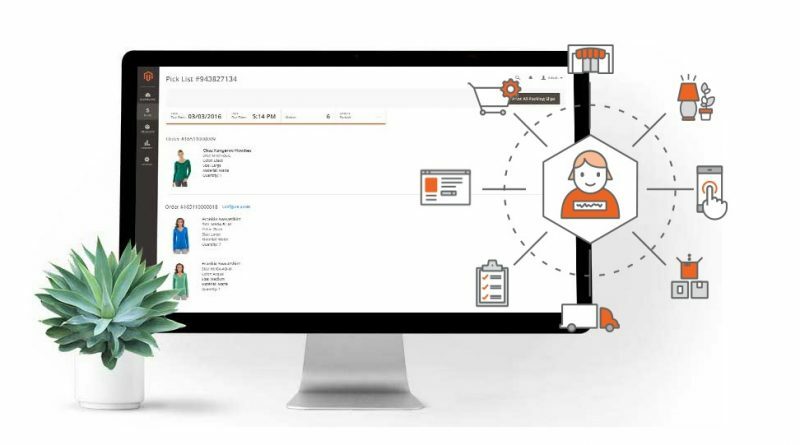 As we previously established, Magento Enterprise Edition is not free, but we should add that it was specially created for big-sized eCommerce stores, both B2B and B2C businesses, that need enterprise-class features to fit their extensive business requirements. As it is the case with Magento Open Source, Magento EE comes in two versions, too. Yet, installing a Magento EE 1x version is not available anymore, since November 2015, when Magento 2 was launched. Websites that already had installed the 1x version at the time were offered the opportunity to renew their license until 2018. The license fee starts from $18,000 per year and includes EE features, performance updates, and support. After 2018, however, all Magento 1x users must upgrade to Magento 2. So for the new license purchases, Magento EE is now available only in version 2x. The shift brought a new license cost calculus, which is based on a revenue model, guided by the following principle: the more revenue you have, the lower is the fee you need to pay to Magento in order to cover the fixed license costs. However, regardless of the revenue an eCommerce website generates, the starting point for a cost estimation of the overall budget you need to prepare for a Magento EE store begins from somewhere around $22,000. Personalization, standard customization, and additional functionalities for marketing development, customer support, scalability, processes and security, and mobile. Additional features, such as product filters, optimizing page caching, customizing admin module, catalog and order management, search engine optimization, performance and speed optimization, themes basic design, data migration, debugging, troubleshooting, and customer support. However, these features are available for standard Magento EE stores, so if you want a customized website you’ll still need to hire a Magento developer. Further, you’ll find out more about what options you have for finding your developer and how will your budget change from one option to another. 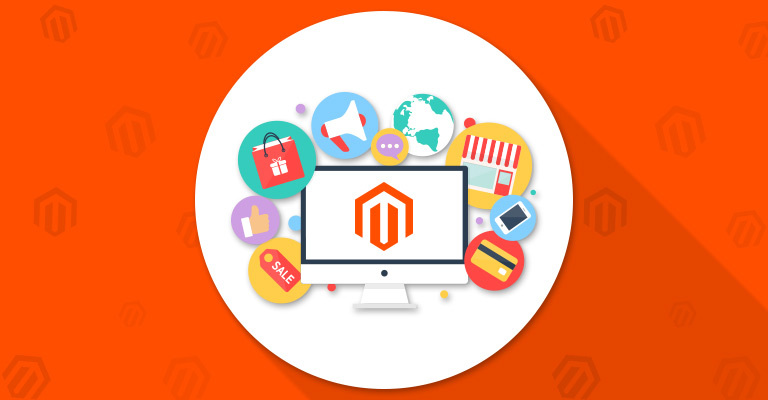 When it comes to the development part of your Magento store, you have three options you can choose from, and each of them has its own advantages and disadvantages, related to budget consumption and project duration. You can read more about the pros and cons of each option in our previous blog post, here. Let’s further see how this aspect can impact your budget. When it comes to the implied costs, contracting a specialized agency is the most recommended option, as you’ll know for sure that you are dealing with a team of qualified Magento developers, and you can concentrate your efforts on the financial and marketing aspects of your business to help it flourish, rather than on the more technical details. Hiring an agency will help you benefit from programmers with experience, certified developers, and Magento partners, that can guarantee a professional approach towards your business goals. If you want to launch your website in no time, you can search for specialized packages. For a quick launch on Magento CE 1x the prices start from somewhere around $12,000, but a Magento website with a basic functionality and custom visual appearance can also go up to a $60,000 if we’re talking about the total cost per project. Of course, additional customizations can be negotiated with the experts. In this sense, it is advisable to write down all the requirements you have and ask for a quote before starting the project. If you’re interested in finding out the cost per hour for a specialized agency, you should know that prices can vary from one company to another, based on their location, the level of expertize and the development features they offer, starting with $60 and up to $200 or more for certified developers. Moreover, a Magento Certified Solution Specialist can raise the hourly rate with $10-30, regardless of where the company is located. Another option when hiring a specialized firm is to discuss a monthly price. The agencies that practice this type of contract usually start from around $7,000 per month. This solution can work in your interest especially if you have a long term project and need advanced development services. Here, too, it is advisable to write down all the functionalities you want your website to accomplish to help the experts determine, as accurately as possible, a monthly development budget. One of the benefits of setting up an in-house team of programmers is that you can have a better control of the situation and check all the development stages of your project in real time. However, this option comes with its downsides, such as spending time and money to find a qualified employee, then paying employee’s taxes and insurances. Plus, on top of hiring one or more developers, it is highly probable that you’ll be needing to hire a project manager, too, in order to be able to coordinate the development processes. An estimation for starting with in-house development on Magento begins from somewhere around $3,000 per month, but it can climb up to $12,000, depending on the level of proficiency the programmers have. It must be stated that it is not easy to find skilled developers that are good both at frontend and backend functionalities. Plus, picking a specialist for each part is strongly recommended by Magento experts, if you want your online shop to stand out from the crowd. In this sense, hiring a specialized development firm can better serve your needs. But if you think that a junior programmer with less than a year experience can handle the level of development your website needs, then you should prepare a budget of approximately $60,000 to $80,000 per year. However, if a senior programmer needs to do the job you have planned for your Magento website, then you should pull out of your pocket almost twice as much per year. In the end, from a pragmatic point of view, hiring an in-house team of developers for your Magento website can be worthwhile only if you estimate that you can make a multimillion-dollar annual revenue from your Magento shop. One of the benefits of choosing this option is that you now have lots of freelance platforms from where you can rapidly choose the right person for you, with high technical proficiency, but this can also be a risk you should take from the start. Not knowing the person you are working with and not having a direct control over the development stages are central aspects that can influence both the duration and the budget of your project, so you should take time to decide if you want to get involved in the decision-making process, or leave it all to them, before choosing this option. The standard costs for this alternative are somewhere between $15 to $80 per hour, depending on the experience level of the developer. Similarly to the other options, the prices can vary here, too, from one developer to another based on their region, their qualification, and your project requirements, so the price can go as high as $300 per hour. Reliability: working with just one person, as opposed to working with an agency or setting up an in-house development department, can burden the development stages of your store. In this sense, imagine an emergency as a situation in which your freelancer is not responding ASAP, as you’d wish! Availability: another reason this option may not be suited for you is that you see your site development as an ongoing project. It is highly probable that after your website is up and running you’ll be needing additional support from developers to solve the technical issues that may arise or further enhance your website functionalities by upgrading the level of customization. In this sense, you need to be confident that your programmer will be available for you anytime, and that you can develop a close business relationship to be sure your store has close to 0% risks of downtime or errors, to avoid losing any customer. Quality: at a first online search you can see that the cheapest developers start from $10 dollars per hour, but will you trust him to develop your online store? Imagine, if something goes wrong, you’ll need to hire another freelancer and you’ll end up paying more than you would have paid if you haven’t got the cheapest offer on the market. Plus, if you want a customized, high-quality website, then choosing a certified Magento developer is more than a must. When it comes to hiring a developer to build a customized extension for your store, the solution you choose to use depends on a number of aspects, such as the budget you are willing to allocate, the deadline, the technical skills of the programmer, if third parties need to be involved in the development process and so on. Experts estimate that if you want to purchase a third-party extension but you have a limited budget, say $1,000 tops, then custom development is the perfect solution for you. But before contracting an agency or an independent programmer, you should first check if the features you desire can be implemented using one of the featured extensions Magento Connect offers. If you decide to hire a developer to build a custom extension, then contacting your initial website developer can be the first option you have, especially because you already know how to work with them and because they know what’s best for your website. In the first case, when you contract a programmer to create an extension from scratch, the budget estimation will contain the implementation costs, also. It is hard to give a price estimate when it comes to extension development, as it directly depends on the duration of the project, the programmer’s proficiency and qualification, and the complexity of your project. To find out how much does an agency or a freelance developer charge per hour, refer to the dedicated section, above. In the second case, the budget you’ll spend on installing a new extension to your store directly depends on the initial cost of the software license – which can vary from $0 to $500 – and the implementation costs, which differ from one developer to another. If you need guidance to discover what works best in your case, then you can call the experts to provide you the most well-suited solution for your online store. The appearance of your Magento store is also important, to offer to your customers a pleasant shopping environment. To install a theme that you feel it represents your business, you have two options: the first one is to choose one of the themes Magento makes available for its customers or to build your own. Magento templates prices can vary from $0 to $200 or more, and you have multiple options you can use for your website, modern or classic in style, or specially designed for each marketing niche. When it comes to developing and implementing a customized theme, the budget needs to be a lot bigger, as you will need to hire a dedicated front-end developer. It is not easy to give a cost estimate for theme development, as sometimes it can represent a part of the overall project, but also because it is determined by the requirements you have for your website and the developer’s charging rates. To see the hourly rates, refer to the Magento development costs section above. So if the costs of using a free theme are reduced to the implementation costs your developer request, using a personalized theme may increase your investments with up to $7,000, depending on your customization demands. The technologies used in creating both Magento EE and CE are suitable for the most common hosting environments, but the ideal hosting platform of choice for Magento development is LAMP stack, which offers Magento stores a solid and reliable foundation. When choosing your hosting provider you can start browsing through the list of Magento Technology Partners, where you can filter your search by region and location. To find out more about the distinction between Magento Solution Partners and Magento Technology Partners, read the dedicated section in our blog post on Magento Agencies vs Freelancers. Usually, to cover the hosting costs you need to pay a monthly fee, but you should know from the start that some hosting solutions offer discount packages if you pay 12 months in advance. The monthly cost can vary from one web host to another, the services each provider includes, but also depends on how big your website is, and how much traffic it gets. Unmanaged Hosting: most providers offer only hardware maintenance, so the services are cheaper than managed hosting solutions. But this does not mean that the overall hosting costs will be cheaper, too. All maintenance costs, troubleshooting, monitoring the server activity and making sure that all services are functional will come to your responsibility. Choose unmanaged solutions if your IT department is experienced in server administration and your hosting budget is limited. What you have to keep in mind is that as your website’s traffic increases and you add more pages, products, and content to your site, you’ll probably have to upgrade your website to a bigger hosting plan, which in turn will require adjusting your budget accordingly. However these are some basic estimates, so if you want to have more accurate figures on how much your website hosting is going to cost, contact the experts for a quote! Each situation is unique, so it is recommended to call the experts and discuss the basic or the more advanced and customized aspects of your future eCommerce website. Do you need help in planning your budget or a team of professionals to do the technical job for you? Why not give us a call? Or, let us know how we can help you out by filling up the contact form. Let’s make your business go online at an affordable price!